Scroll down to win a copy! 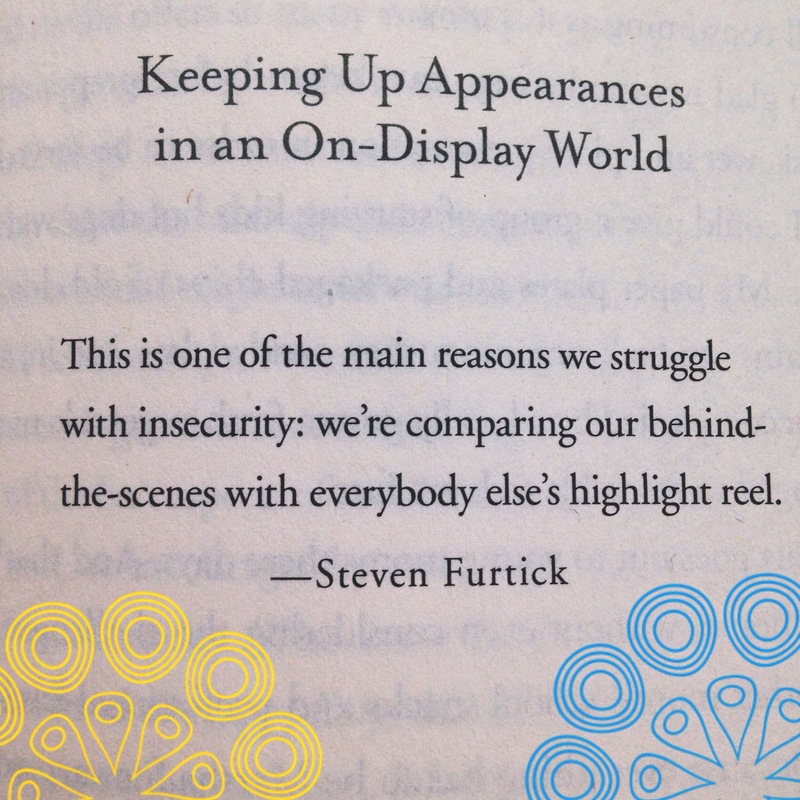 She goes on to lay it out, in a way that isn’t at all demeaning, just how normal comparison has become in our culture. Then she helps us see a way out. Tired of performing? Feeling weighed down by the pressure to be Pinteresting? Does your friend’s wardrobe, body, marriage, paycheck, vacation plans, or photo-shoot- worthy home décor leave you wishing your life looked more like that? With its focus on smarter, faster, thinner, and ever-better, our cultural obsession with comparison is undercutting relationships and sapping contentment. Our friends become our audience (or judges), and our titles, activities, even kids become part of our brand. Factor in social media’s constant reminder of what everyone else is doing, and no wonder we feel drained, discontent, and isolated. Thankfully, we don’t have to live this way! 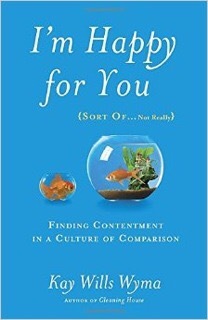 With candor and humor, I’m Happy For You (Sort Of…Not Really) explores the troubling effects of living in an excessively competitive culture—and reveals simple yet effective ways to escape the comparison trap. I needed this book, I’ve been fighting this culture for a while now striving for contentment with less. Mostly because I know that striving for more, and to keep up with the Jones, WILL NEVER MAKE ME HAPPY. There will always be one more thing, something bigger or better and I’ll never reach enough if I’m comparing myself to others. I love the practical approach towards a brain reboot to snap back into focus when we start the comparison game. The mini stories she had collected throughout the book were great to read, its always good to know you not the only one who is struggling. It was also great to be able to glean perspective and ideas from others situations. If you working on making a change towards contentment and enough this is a great read.